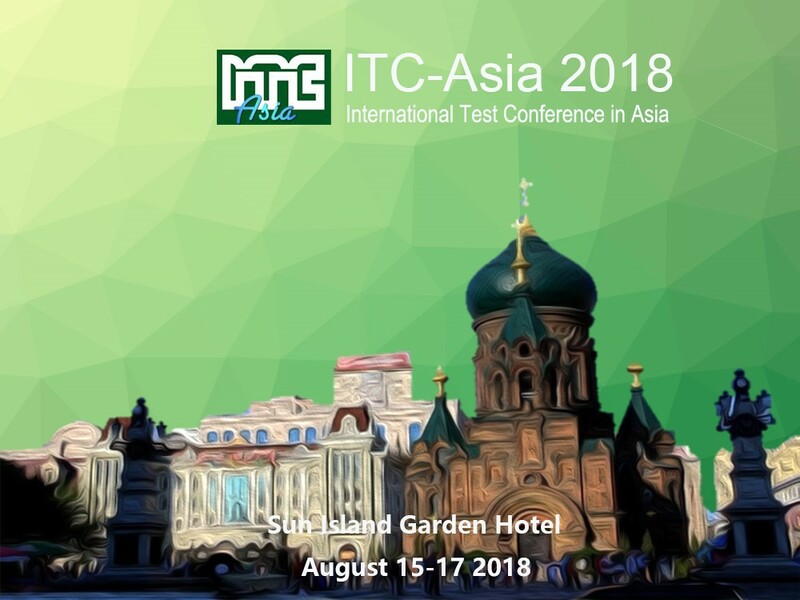 ITC-Asia’18 (August 15-17, Harbin China), is organized together with the 10th CCF (China Computer Federation) China Test Conference (CTC), for people around the globe, to share state-of-the-art test, validation, and reliability technologies for emerging electronic systems. This year ITC-Asia has more than 450 recorded attendees, which include both ITC-Asia’18 registrants (120+) and CTC’18 registrants (330+). The opening ceremony of ITC-Asia 2018 was held in the morning of August 16. 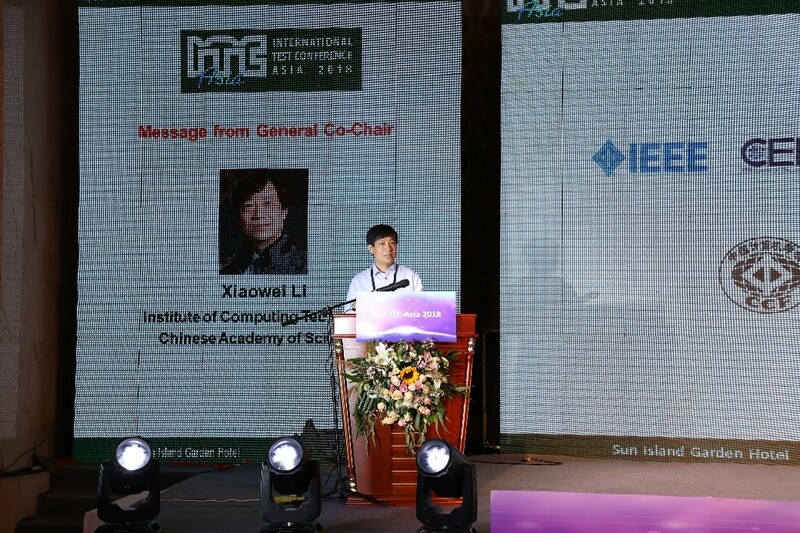 Prof. Kwang-Ting (Tim) Cheng, the General Co-Chair, gave the ITC-Asia 2018 opening message. Prof. Xiaowei Li (from CAS) gave the welcome message from the ITC-Asia 2018 General Co-Chair. 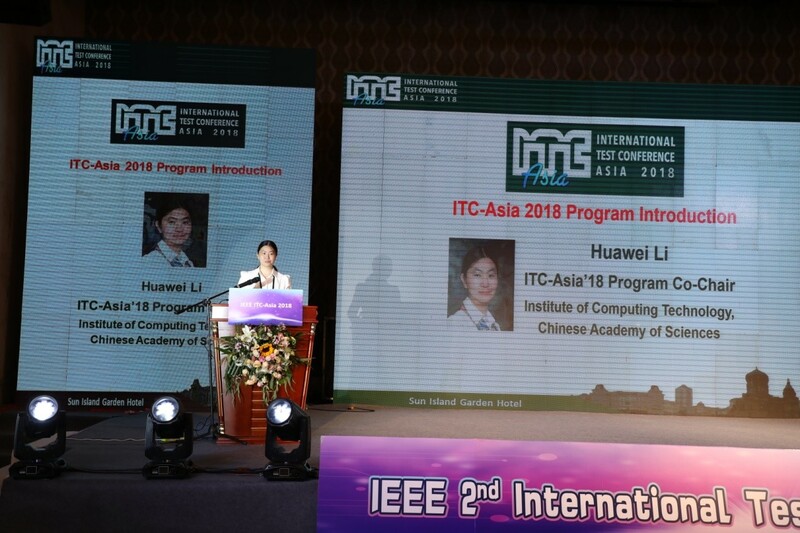 Prof. Huawei Li (from Institute of Computing Technology, Chinese Academy of Sciences), the ITC-Asia 2018 Program Co-Chair, introduced the ITC-Asia 2018 technical program and social event as well. In the ITC-Asia 2018 opening ceremony, Dr. Yervant Zorian introduced IEEE TTTC and its activities to the attendees. 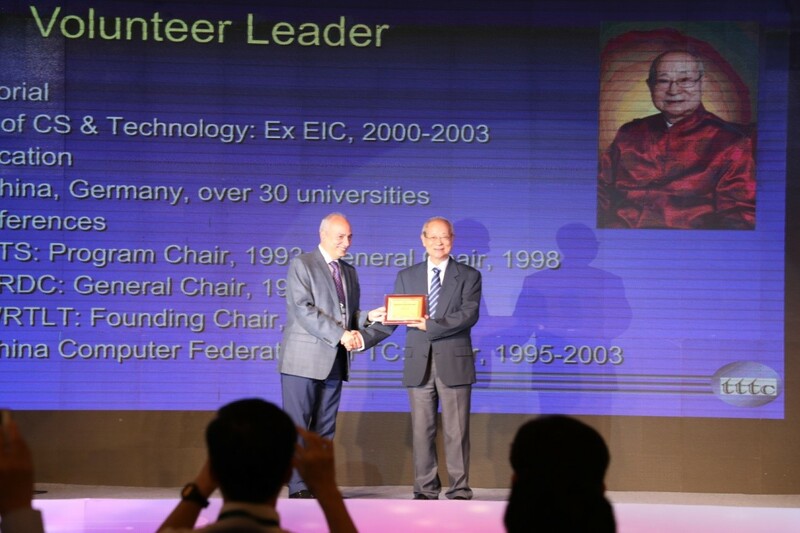 After the TTTC introduction, Prof. Yinghua Min from Institute of Computing Technology (ICT), Chinese Academy of Sciences (CAS), was awarded the IEEE TTTC Significant Contribution Award, for his outstanding technical contribution and significant community leadership. Parts of the ITC-Asia’18 attendees took a group photo during the coffee break on August 16 morning. The ITC-Asia’18 program includes Tutorial Courses, Keynote Speeches, Panel discussion, Paper sessions, Special Sessions, Industrial Sessions, Exhibition, Social Event, and Banquet. After the opening ceremony, the ITC-Asia 2018 Program Co-Chair, Prof. Xiaoqing Wen (from KIT), moderated the three keynote speeches, given by Dr. Janusz Rajski (from Mentor, A Siemens Business), Prof. Li-C. Wang (from UCSB), and Prof. David Z. Pan (from University of Texas at Austin) respectively, in the ITC-Asia’18 opening session. There are 24 high-quality technical papers, which were deliberately selected from 52 ITC-Asia’18 submissions based on peer reviews, and presented at eight ITC-Asia’18 regular paper sessions. 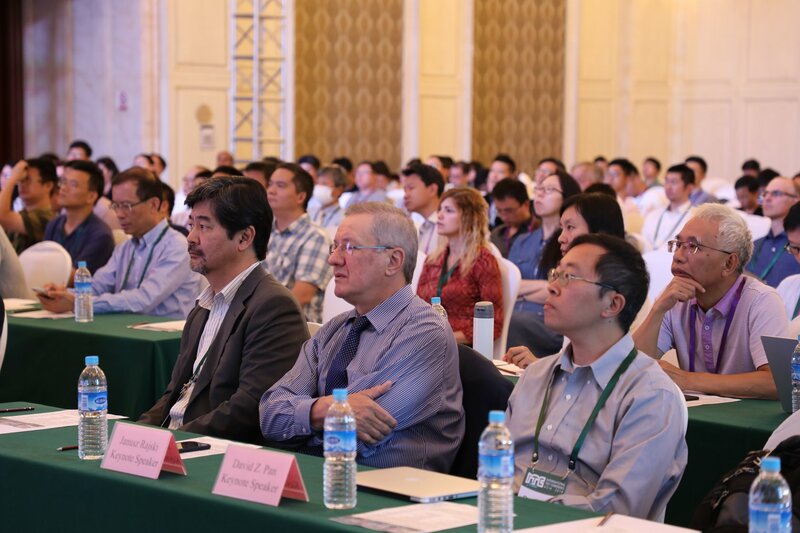 In addition, the Program Co-Chairs and Industry Session Chair organized 14 Invited Talks in parallel sessions, six in two special sessions on hardware security and automotive test and reliability respectively, and eight in two industrial sessions. These 12 sessions constitute parallel sessions on 8/16 and 8/17 afternoons. The plenary panel of ITC-Asia’18 was held in the morning of August 17. 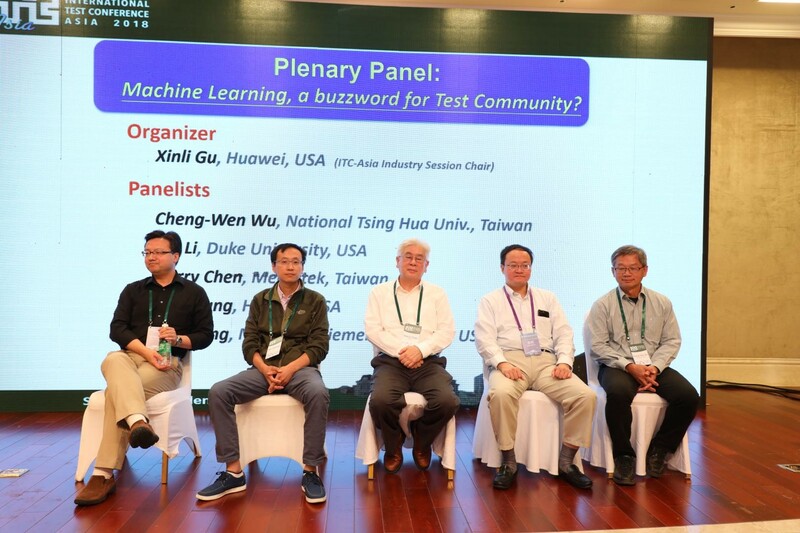 Dr. Xinli Gu (from Huawei Technologies) organized and moderated the panel with the topic: Machine Learning, a buzzword for Test Community? Five panelists, Harry Chen (Mediatek), Cheng-Wen Wu (National Tsing Hua Univ. ), Xin Li (Duke University), Fei Huang (Huawei Technologies), and Yu Huang (Mentor, A Siemens Business) shared their insight to this question respectively. Then the audience and panelists have active discussions for more than half an hour. In the afternoon of August 16, after the first three parallel sessions, the attendees enjoyed the social event, which included the city mark touring, a tour to the Manchurian Tiger Park and a one-hour acrobatics show. After that, the attendees returned to the Sun Island Garden Hotel to have the banquet. The next ITC-Asia was announced at the banquet by Prof. Seiji Kajiwara (Kyushu Institute of Technology, Japan). ITC-Asia’19 will be held in Tokyo, Japan, on Sept. 3-5, 2019. Welcome!